Every home needs a coffee table. Preferably, something that looks good without being a cheap piece of junk that you’d find at Ikea. 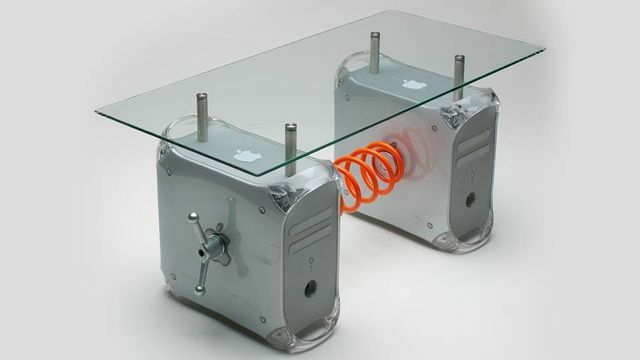 If you’re in the market for a new coffee table, and happen to be a huge Apple fan, you can buy this gem for $600, or just make it yourself. Each table is made out of 70% of reclaimed materials, so it’s good for the environment and individually hand-crafted so your living room will feel extra special.